Country Music Week has been taking over London this week and on Wednesday fans were treated to three acts at London’s Koko. Over the last 12 months we have been very fortunate to see some excellent support acts come over from Nashville, just a year ago, Drake White opened for Kip Moore, Brothers Osborne have supported The Cadillac Three, Kendell Marvell, Old Dominion and Ashley McBryde are just a few of the highlights. 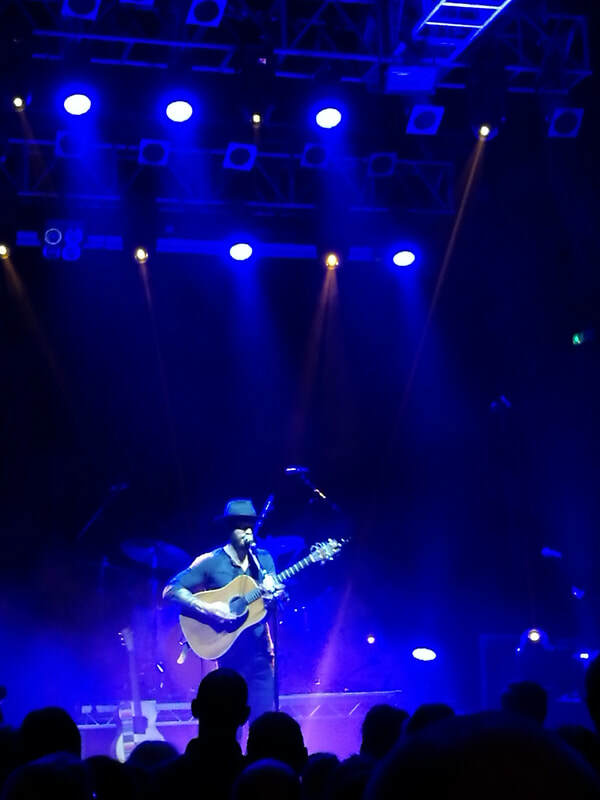 Wednesday night was no different with Drake White calling on Tenille Townes and Ryan Kinder to open from him as he now embarks on his first UK headline tour in front of a sold-out crowd. First out on stage was Grand Prairie, Alberta native, Tenille Townes. This is Tenille’s first visit to the UK and had just wrapped up performing across the country as part of the CMA Songwriters Series. Having recently released her debut EP, the trip has been an excellent opportunity for her to introduce herself to the UK audience as she continues work on her debut album. 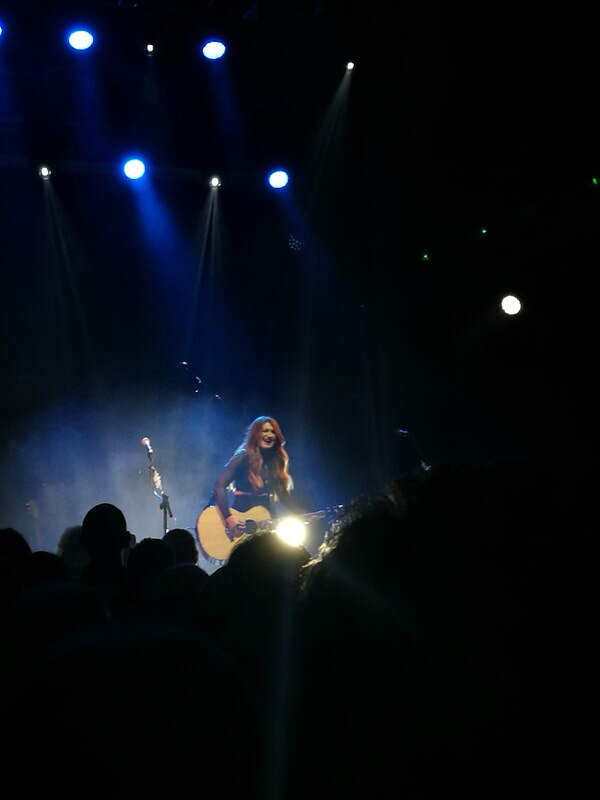 Opening with Where You Are, Tenille didn’t seem out of place on the Koko stage and showed no sign of nerves as the crowd began to head into the venue. Armed with just her guitar, the five-track set include all four songs from her Living Room Worktapes EP and a cover version of U2’s I Still Haven’t Found What I’m Looking For. Based on the crowd’s reaction to Tenille I’m sure it won’t be too long until she returns to our shores to wow over more and more crowds. Haven’t had the opportunity to speak with Tenille this week, this is clearly just the start of things for the Canadian artist. With the crowd still buzzing from the impressive opening set, there was barely time to get another drink in before a familiar face in the UK took to the stage. As main support for Drake, Ryan Kinder was now making his third appearance in the UK this year. Speaking to him backstage before his set he couldn’t speak highly enough of UK country music fans and is a huge advocate for the movement that is being started this side of the pond. Having only seen Ryan previously supported with a full band and playing the electric guitar it was a real pleasure to see him, as with Tenille, requiring nothing else on stage other than a passionate audience and an acoustic guitar. Playing just the acoustic guitar gave the crowd a real opportunity to focus purely on his powerful vocals across the whole set. With some passionate story telling lyrics in his music you can sometimes loose that with a full band, not tonight though. Playing seven songs in his set, he made sure to include a few crowd favourites, including the 2016 single Close, which has well over 20 million streams online. Having given us a clue backstage about how the set would end, it was great to see Ryan step away from the mic for the final chorus of his final track, Still Believe in Crazy Love. As he called out the lyrics the crowd showed no hesitation in singing back to him. Each time Kinder comes to the UK, more fans know his name and more importantly his music. Having already promised us he will be back at least 2 times and maybe even 3 or 4, I have no doubt that at least one of those times will see him headlining his own sell out tour. With a full-length debut due out next year, soon people will be saying they had the opportunity to see him open as a support act with just an acoustic guitar. It was March 2017 when Drake White first stepped onto the stage in the UK playing his part in a CMA Songwriters Series prior to Country 2 Country. Across that debut weekend he played several sets including a late night show. White is now a long way from that set and his last headline show in London – at the 200 capacity Borderline – after he had supported Kip Moore on his UK tour. In just over one year, White has gone from playing to 200 people to almost 1,400! White mixed the evening up with tracks from his debut album, Spark, his May EP, Pieces, and also offered the crowd a selection of new songs that they had not heard before. As with all concerts in London, the crowd sung along to every word they knew with White lapping it up. On this trip to the UK, White was backed by his band The Big Fire, which did take something away from the previous intimate shows he had performed in the city. He did though however, treat the crowd to a short acoustic set, which for me was the clear highlight of the night singing Fifty Years Too Late and The Coast Is Clear. It was nice to hear new music from White with poignant All Will Be Alright With The World. Following this section of the night, the band returned to stage to ramp the energy of Koko up one final time. White was able to show his energy on stage for the final section, as it seemed to have been hiding in the early parts of the set. For me though, the lasting memory of an evening can often be the encore and making sure the crowd leave the venue buzzing and wanting more. He seemed to have found the perfect encore song with It Feels Good after leaving the stage to allow the band to play an extended instrumental, only to reveal the actual encore when he returned to stage, this time with Ryan Kinder, to perform a cover of The Beatles classic With A Little Help From My Friends. While White may not necessarily have a go to hit track to perform as an encore, it just seemed a strange choice to me to let the crowd leave mumbling the lyrics to a Beatles song as they went instead of leaving the crowd with the positive vibes he had built up with It Feels Good. The opportunity for White to perform a headline, sold-out, tour shows the hard work he has put in with UK fans has paid off and I’m sure many (and White by the smile on his face) are looking forward to seeing him return in March when he will once again be part of Country 2 Country, this time though, on the main stage. With no news yet of a new album coming, hopefully more will have been revealed in March.